Applicants should have mathematical and practical motivation, and be anticipating a first class degree in an analytical subject. 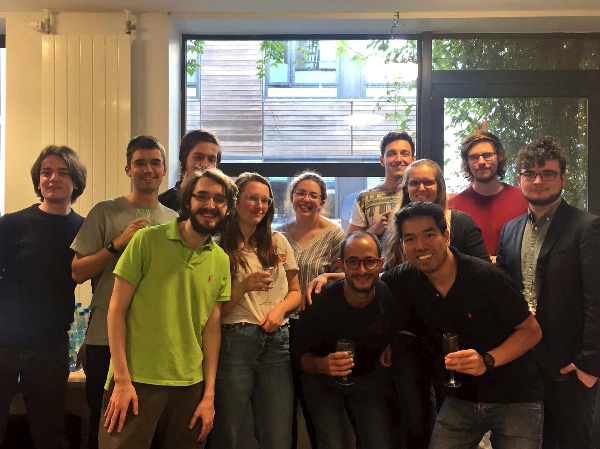 If you are interested in applying for a place on our MSc+PhD programme in Mathematics of Systems, you can submit an online application via the University of Warwick Online Application Portal. Please read the Postgraduate step by step guide for help with the application process. You are also encouraged to attend one of our Open Days. There is no formal deadline by which applications must be submitted, but applicants should note that applications can only be considered once the application fee has been paid and all supporting documentation has been received, and that both places to study and available funding will be limited. Therefore early submission of your application to study is encouraged. We are also happy to receive applications for MSc-only or for PhD-only. For MSc-only we have no funding sources so you would have to work out how to fund it yourself. For PhD-only (P-G1PG), we require you to have done (or be completing) an equivalent MSc to ours with high results, and to have identified a clear research proposal and supervisors and source of funding already; we have funding opportunities for direct entry to PhD from time to time and there is no need for the start to be synchronised with the academic year. Received e-mail notification of your Applicant ID Number from the University of Warwick Postgraduate Admissions Office. Clearly stated in the application that you wish to be considered for the MathSys 1+3 course. Provided information in your application on your general motivation for the course, what you hope to acheive on the course, and how your education and experience to date would make you suitable for the course. Provided contact details of two Academic referees, and advised them in advance that they will be contacted by the University of Warwick to submit a reference to support your application to study. Provided transcripts of your previous qualifications, and of any marks you have achieved to date on any current study you are undertaking. For EU candidates, you should also provide a certified English translation of your transcripts and certificates if they are not in English, and confirmation of your English Language Proficiency. Your on-line application and supporting documents will be considered by one of our Admissions Tutors. If your application is taken forward to the next stage then applicants will usually be interviewed. Applicants for Research Council funded places will generally be interviewed by two academic members of MathSys and a decision reached. Admissions decisions will be communicated to you via the central Postgraduate Admissions Service. Research Council Studentship offers will be made directly from the MathSys CDT Admissions tutors. There are a number of scholarships that are available for the MathSys programme starting in September 2019.